Sometimes things won’t go as expected, but life goes on and life is good! Remembering our blessings and all of the great people that surround us keeps us grounded. We’ve added this new A Good Life sign to our online store and is a perfect daily reminder to be thankful, everyday. 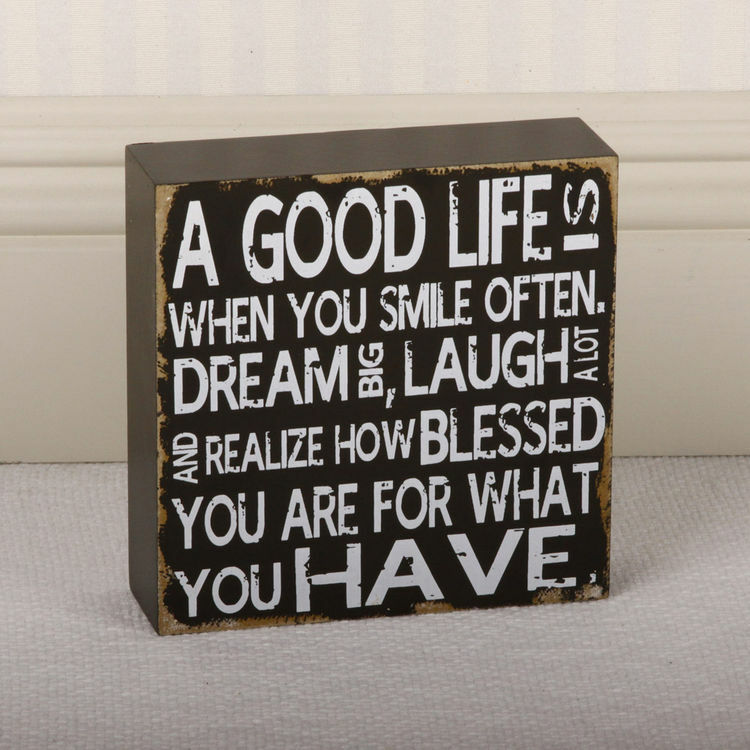 Weathered wooden sign measuring 6″ x 6″ x 1.75″ that says “A good life is when you smile often, dream big, laugh a lot, and realize how blessed you are for what you have”. This sign is available for purchase in our online store for $13.99. This entry was posted in Home Decor and tagged A Good Life, Home Decor, Wood sign, Word art.